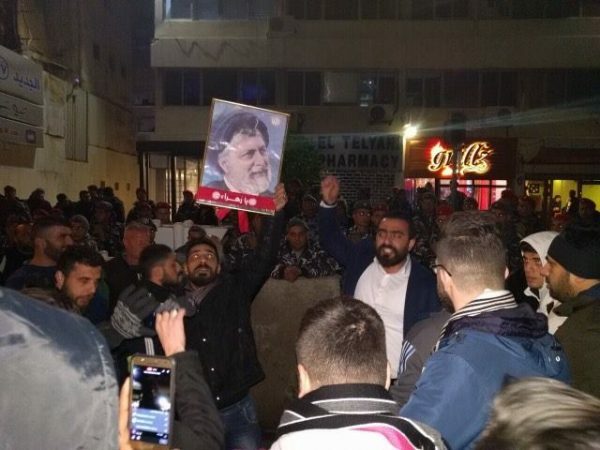 SUPPORTERS OF Lebanon’s Shi’ite Amal Movement attacked the headquarters of a Lebanese television channel in Beirut on Tuesday night, protesting against a broadcast they said was insulting to Lebanese Shi’ite cleric Imam Musa al-Sadr. Around 300 people, some carrying flags of the Amal Movement, tried to storm the headquarters of Lebanese channel al-Jadeed, throwing fireworks, stones and eggs at the building. Sadr, the founder of the Amal Movement, disappeared after travelling to Libya in 1978 and is presumed dead. 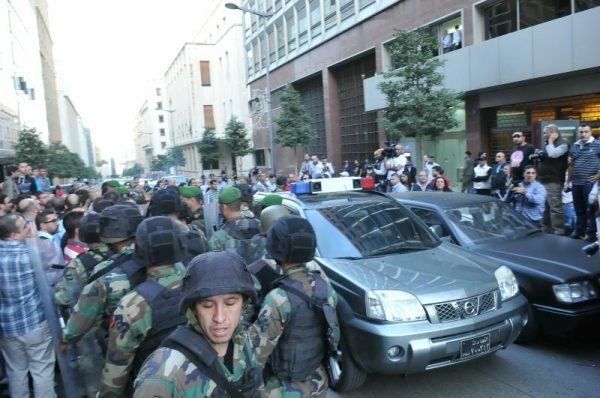 Lebanese media said the Tuesday demonstration had been in reaction to a broadcast comedy sketch that referred to the disappearance. Protesters broke windows, shouted insults at the channel’s owner, and chanted “Here we are Nabih”, referring to Parliament Speaker Nabih Berri, head of the Amal Movement. Scores of police and troops arrived to control the protesters, and one policeman was injured. A security source described the attack as serious but said the army was in control of the situation. An al-Jadeed correspondent said on live television that a fire had erupted in the building, ignited by the fireworks. President Michel Aoun, Interior Minister Nouhad al-Mashnouq, Defense Minister Yaaqoub al-Sarraf and Information Minister Melhem Riachi had held a series of contacts with security chiefs and political leaders in a bid to calm the situation. Army forces also deployed along the Salim Salam bridge and on the highway near the Sports City, state-run National News Agency reported. “Those attacking al-Jadeed’s building did not watch the episode that they are protesting against and al-Jadeed does not accept any insult against Sayyed Moussa al-Sadr,” Khayyat stressed. “We are being threatened with bullets and the cutting off of broadcast, but this will not deter us from saying the truth,” Khayyat added. In its latest episode on Sunday, the satirical show “Douma Cracy” ( “دمى كراسي”) hosted ex-MP Hassan Yaaqoub, the son of Sheikh Mohammed Yaaqoub who disappeared along with Imam al-Sadr during a 1978 visit to Libya. Ex-MP Yaaqoub is an opponent of Berri and has criticized his handling of al-Sadr’s case. The episode featured three puppets impersonating Berri, slain Libyan leader Moammar Gadhafi and former U.N. chief Ban Ki-moon. The TV show is directed by controversial director Charbel Khalil. “The language of mockery and disrespect showed that your $70 million contract with some remnants of the Libyan regime to print their books is more important to you than all the causes of the country and its people,” Qobeissi said in a statement. Iran behind Sadr’s disappearance ? Iranian human rights lawyer Shirin Ebadi accused Iran of playing a key role behind the disappearance of Lebanese leader Musa al-Sadr during a trip to Libya in 1978. 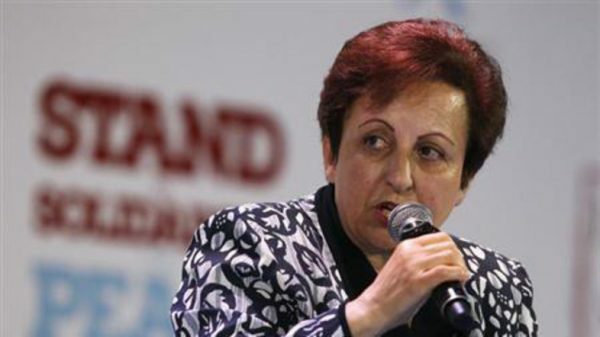 Nobel Peace Prize laureate Ebadi spoke in October last year for the first time about the fate of Imam al-Sadr and suggested Ayatollah Khomeini and his aide played a role in the disappearance of Lebanon’s charismatic Shiite cleric. “Sadr stayed for several days in Libya waiting for the arrival of Khomeini’s aide Mohammad Beheshti. However, Sadr decided to leave the country when Beheshti’s arrival was delayed,” Ebadi told Farsi-speaking Radio Farda,as quoted by Asharq Al-Awsat newspaper on Sunday. The Iranian lawyer claimed Sadr was detained at an undisclosed location after Khomeini’s aide telephoned Libyan leader Muammar Qaddafi. The charismatic cleric Sadr was born in Iran and migrated to Lebanon to establish the powerful Lebanese militia Amal Movement in 1974 to defend Shiite interests during the civil war. Libya claimed that Sadr, a relative of former Iranian President Mohammad Khatami, vanished after leaving Tripoli for Italy, but an Italian investigating magistrate has ruled he never arrived there. Ebadi said the Sadr family informed her that the Iranian Foreign Ministry had rejected a request to find Sadr . Khomenie seen any opposition as a threat and subject to liquidation like the 10’s of thousands of Iranians that were put to death purely because they were not blind followers. Al Sadr was no different. Lebanon is not Iran were the government controls the media strictly as pro mullah only. If Hezb/Iran gain more power in Lebanon, there would be much more bans on media. Lebanon needs to stick with free speech and the sensitive Hezbully will just have to rant like spoiled children and be arrested when they turn their violent back at Lebanon. So may be Berri’s men were also mad at Yaqoub too for being part of the Al Jadeed TV show. These guys are known for being very rough. I personally heard from many people in Lebanon that Berri was a major player in Ayatollah Khomeini’s plot against Imam Musa al-Sadr , founder of the Amal Movement. the Orab world television production of a zombie apocalypse. The project was presented at the Berlin International Film Festival. turns people into zombies. Thus in various countries for infection respond differently. producer site Variety, notes that the political component It is characteristic of zombie movies.